It is very important selecting the right color for the home environments where we mostly live in, such as the living room and the kitchen; knowing the benefits of any finishing when matched to the space, could be a unique opportunity for those who are developing a brand new kitchen project. 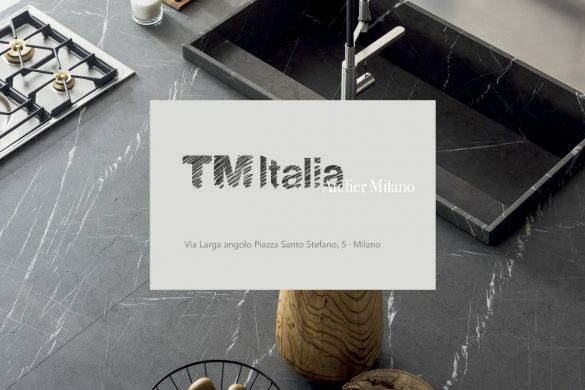 TM Italia offers a complete space personalization service not only through the selection of more than 350 materials and finishings, but also by ensuring a customized consultation, even regarding any colors’ personalization. When designing a kitchen, white is considered – among all the colors – as the most elegant and versatile one. It is not only able to influence the space visual perception, but it also infuses an immediate sense of wellbeing, order and cleanliness to who is living in the domestic environment. 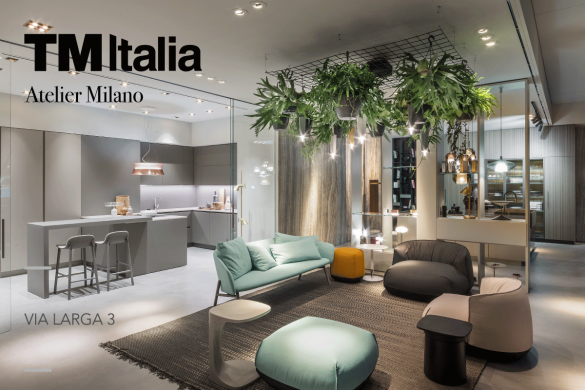 A cross color, expertly used for TM Italia white kitchens projects, where each model aims to a well-developed modularity, giving the chance to lend a powerful and iconic nature to any space. White can amplify the space perception by expanding the environments and highlighting the volumes of the design. Symbol of clearness, it has a highly evocative power that brings to mind visions of summer refuges on the seaside, an anti-urban cure to be chosen during the design phase. 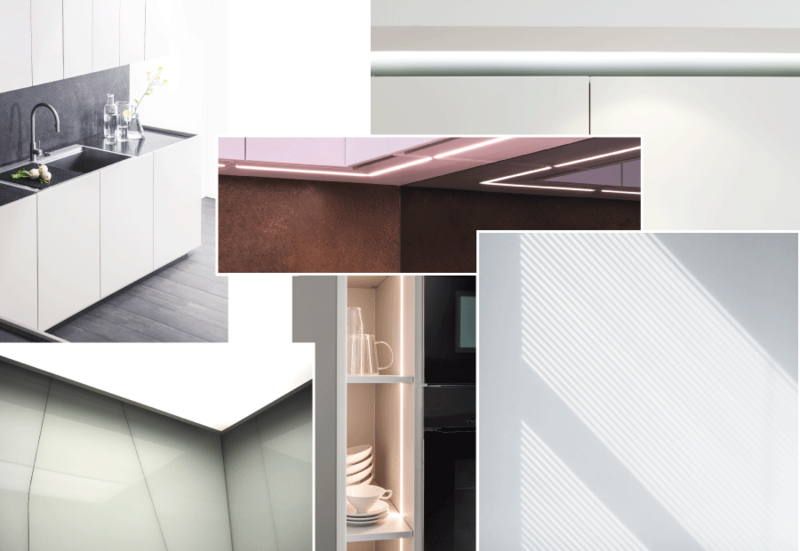 Matched with modern and essential lines, in TM Italia projects, the white color envelops the whole environment by becoming a scenic component that leads to a clear and fluid overview. Thanks to the white color, the whole space is perceived as wider, cleaner and tidier. 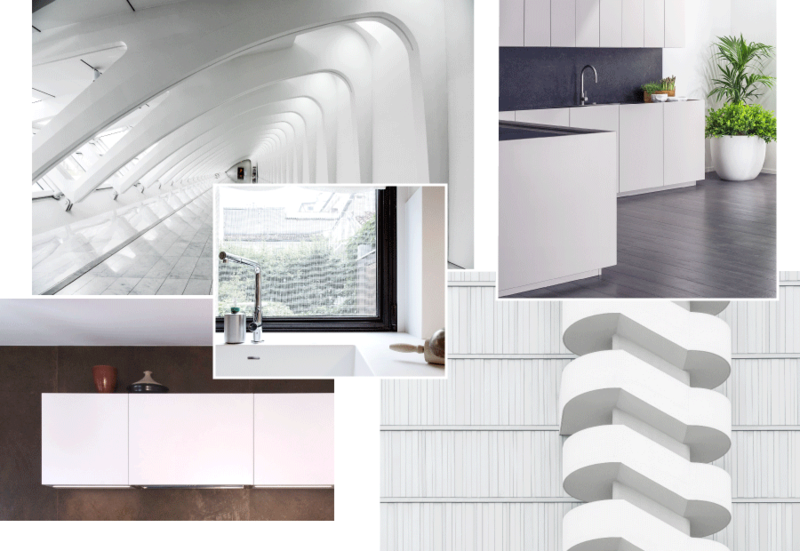 White can also enhance the habitability and often ensures a stylistic continuity with the surrounding environment, like for example the suspended living kitchen where the kitchen itself becomes an element characterizing the whole space. More and more often used in the interior designs, the white color is the most appropriate to diffuse the light: symbol of purity and lightness, it strips the architecture of any redundancy, boosting its potential, paring down the space to the essential and enhancing the shapes, the details and the volumetrics. 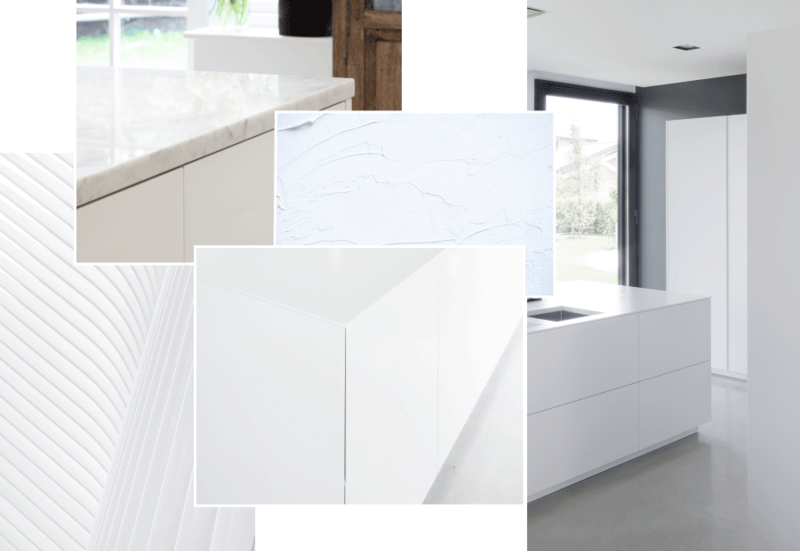 White is ideal for characterising and enlightening any space, highlighting the differences between the elements, between opening and closing, between solidness and clearness, between casing and structure. TM Italia white kitchens design aims to enhance this play of color and light, highlighting the finishings’ quality and the excellent neatness of the design lines. Whether open or narrow space, we tend to design either modern “total white” spaces or environments where the white can embrace materials and finishings in other colors, enhancing its contemporary character. Always considered as the non-color of the architecture due to its elegant simplicity, the white color is able to express the essential of the pure shapes, also enhancing its shades and shadows, allowing a great customization of the spaces when it is used as a primary color. 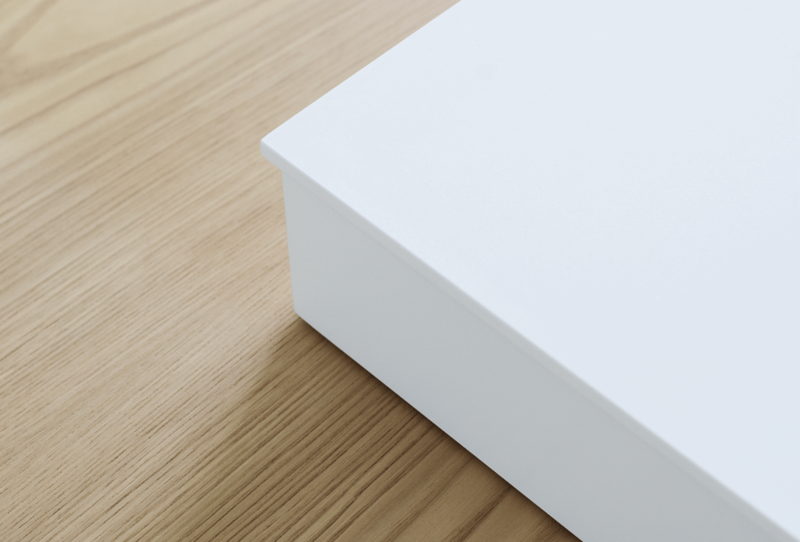 White is a flexible color with countless shades. It all depends on the nuance chosen during the design phase: the white colore can be, for example, “ice” or “arctic”, giving a nice sense of freshness; it may seem warmer and more delicate when enriched with a hint of pink or yellow, like in the case of the creamy white or the mini white, contained within the finishings shown on the catalogues. By using a ton sur ton white matched with the extreme cleanliness of the lines applied by TM Italia while designing, harmonious spaces with endless potentials can be created. Suited to enhance the physicality of the material where it is applied to, the white color becomes an element characterising the whole creation, as in the case of the white kitchen with a stone-top-island or while realizing the painted opaque white and quartz white finishing like those to be found in provided picture. By matching the white color and other finishings, a very precise style can be provided to the design kitchen. Born from a mix of all the colors belonging to the color spectrum, the white can be perfectly matched to other materials that let some pecularities stand out, highlighting the color, the elegance and the texture. Perfect when combined with other neutral colors, white can enhance the natural color of the wood, as in the case of the composition to be found in the figure, where the top’s quartz white and the shiny lacquered white on the shutters and drawers can be amazingly matched with the chestnut wood color of the integrated top, the console, the shelves and the inserts on the columns. The TM Italia’s white kitchens improves where there is a stronger contrast between the materials and other finishings, as in the case of the white kitchen to be found in the figure, where the lacquered Bianco Puro on the columns hides an inner richness; convoy and extractable pantries that emphasise its purity. 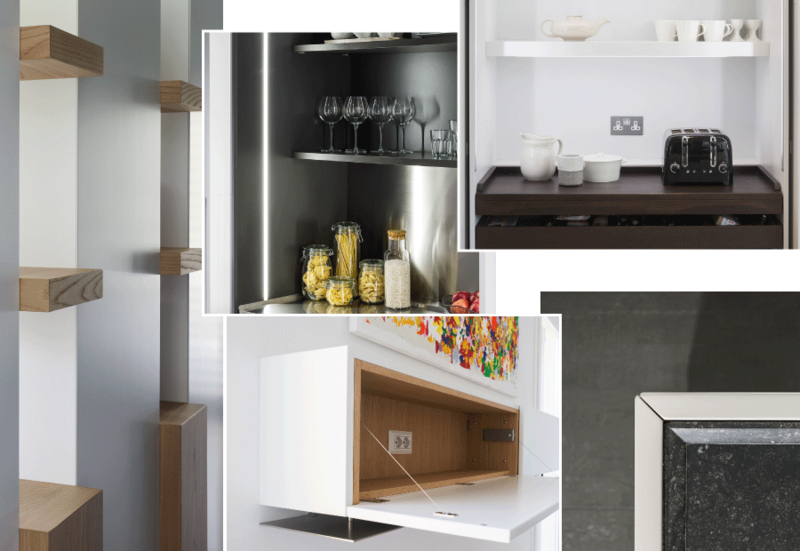 Are you designing or renovating your brand new kitchen? Have You decided that white is the right finishing color to customize your space?